This recipe swap makes me feel like a 12 year old girl going to a Justin Bieber concert. I’m really mad about it (though promise not to scream in your literary ear). Each round has brought forth some fantastic, unexpected element and this one has been no different. As background, this recipe redo/swap idea was brought to life by Christianna of Burwell General Store upon finding a cool vintage hymnal/recipe book at a swap meet in Arizona. She had the vision of bringing those recipes back to life with a twist. We redo/swappers must change at least three things to make it our own and stay true to the intent of the recipe (e.g. a big fat T-bone steak would not be an acceptable redo for a pudding recipe). 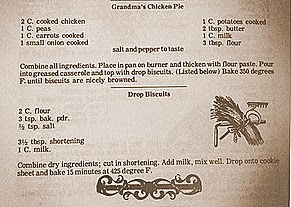 This month’s recipe is Grandma’s Chicken Pie with Drop Dumplings. American comfort food at its most traditional, stomach-filling finest. Though my culinary bent is organic, local, seasonal, this recipe inspired me to zip half way around the world, back to a place I lived and ate happily for some big chunks of time: Singapore. I have chosen a Nonya Chicken Curry dish. I find nothing more comforting and satisfying than curry. This particular dish is one I learned to make while in Singapore and have folded back into my U.S. repertoire. Here’s the scoop on curry. Most of us stateside assume there is one curry powder and one curry dish. Not so. 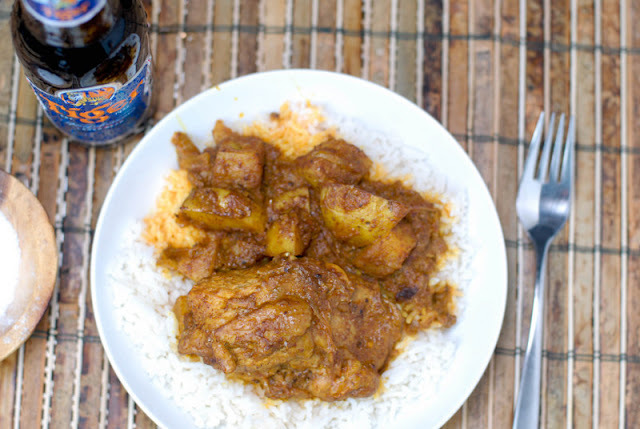 Within the cultures that make curry, there are many different curries for different dishes. These same dishes would also differ culture to culture. If you ordered a chicken curry (first off it would be a specific type of curry with chicken in the dish) in Malaysia and one in India; totally different. The curry I’m making was introduced to me as a Straits Chinese Curry (referring to the region and the waterway between Singapore and Indonesia). 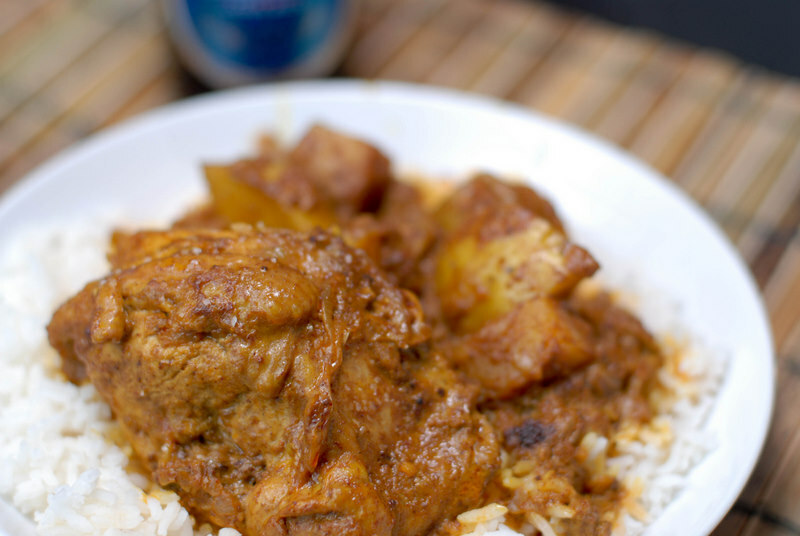 It’s a rich curry dish with coconut milk, chicken and potatoes, spice and robustness. 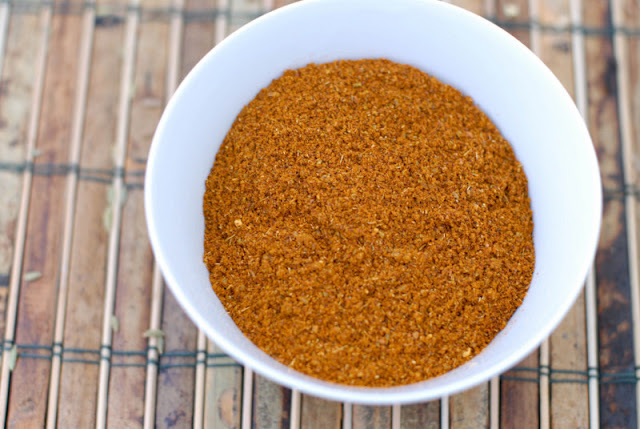 To make the recipe I wanted to make the curry powder from scratch so you too could make this authentically yourself. I scoured my cookbooks purchased while in Singapore with no luck. The internet was no help. I have a spice package from Singapore purchased years ago that lists the ingredients in the powder but not the recipe itself. Then came the jewel of this entire project. I invoked the Sisterhood of the international food blog world and emailed my friend Ping in Malaysia. Ping introduced herself to me in my earlier blogging days by gifting me a Stylish Blogger award. I was deeply touched, loving her blog (Ping’s Pickings) and hanging on her every word and recipe as a means of armchair travel back to a part of the world I adore. I swore her to ultimate secrecy and explained my plight. I figured she might have more ready access in one of her local cookbooks to the formulation of the Nonya curry powder for a chicken curry. Ping was hot on the case and refined my curry wherewithal even further explaining that the formulation would differ from Malaysia to Singapore, as well as within Malaysia for the same dish. It turns out not only is she familiar with my particular dish but in her past, Ping’s mother made the curry blend to sell. Ping would consult with her 87 year old mother to see if she would remember the recipe, and if so, would be willing to share the recipe with me. ‘Auntie Choo’ not only remembered but happily handed over their family heirloom recipe for me to use and publish. I feel honored beyond words to have this priceless gem. Family recipes are the tapestry and legacy threading generations together, and with this gift the legacy will travel through my family too. ‘Auntie Choo, I Love You’; those are the bumper stickers I’m having printed to be placed on any willing vehicle in Boulder Colorado (not really, but you get the point). Ping, Auntie, thank you from the bottom of my heart. Ping was clear this is Penang style Nonya curry powder, which is different than Malay or Singaporean Nonya curry powder. 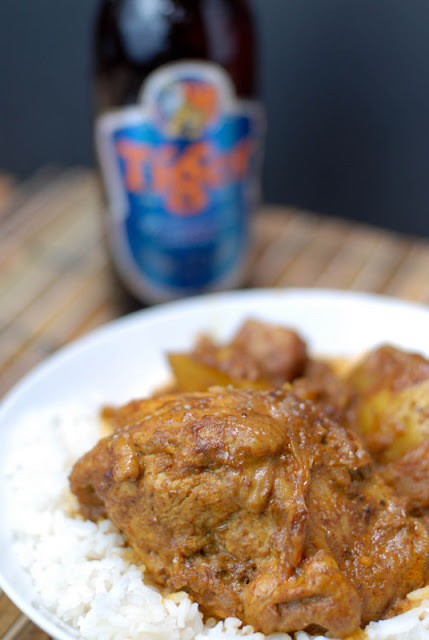 I will pre-empt my Singaporean readers to say I realize combining these differing aspects does not produce a traditional chicken curry in Singaporean Nonya-style (a cuisine with its own signatures within Singaporean food). However in the spirit of the rich and varied cultures of your land, which I love, I hope you’ll forgive my ‘mix and match’ approach in conveying this dish! Most of the world cooks in gram weight, the U.S. being an exception. Ping provided the recipe in metric measurements and I did not try to convert it. I used a simple kitchen scale to weigh out the ingredients to the weights required. You can buy these herbs in powdered form and mix them or as I did, purchase them in gross bulk form (e.g. cinnamon sticks, peppercorns, etc) and grind them together in a coffee or spice grinder. If using powder just substitute the same weight of powder for the items below. *I have a dehydrator so dried lemongrass in it. I think you could achieve the same affect by drying in a low temperature oven. I also later found lemongrass powder at a local Asian market. 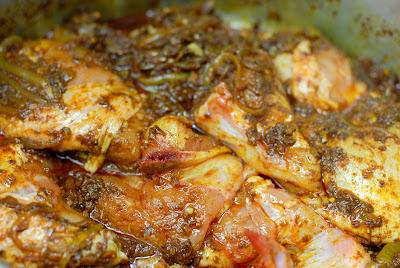 Grind all spices (or mix if using powdered form) together to make the exact quantity for the Nonya Chicken Curry below. 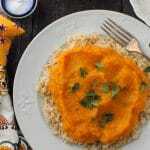 There is nothing to make a house more fragrant than the cooking of curry. 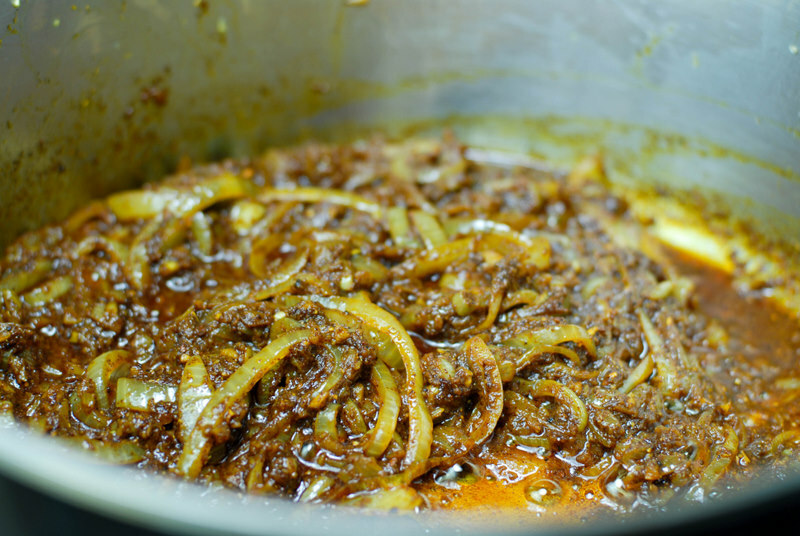 From the shallots, onions, garlic and ginger sautéing to the warming of the curry paste to an aromatic state. It’s the equivalent of smelling an apple pie baking for me! This recipe can be used with beef as well. 1. 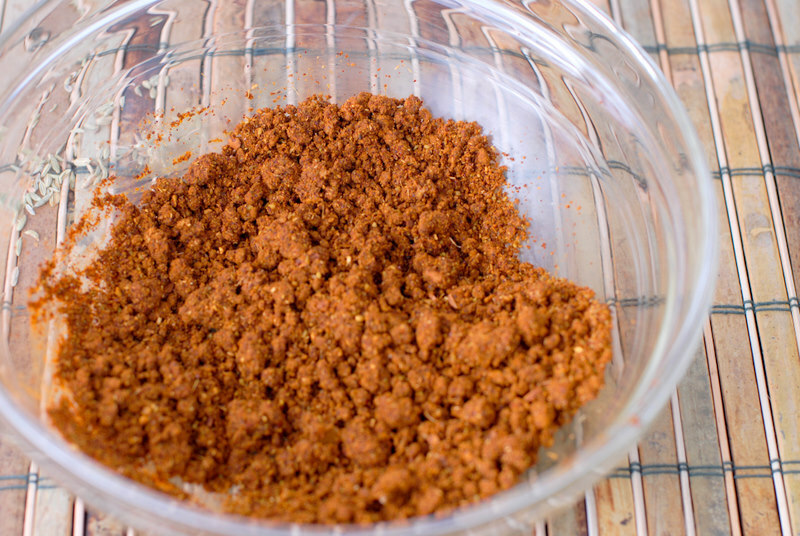 Make a curry paste from the curry powders and 3 tablespoons of the coconut milk. 2. Heat a wok or large pan, add the oil. When oil is hot add the shallots, garlic, ginger and onions. Saute until transparent. 3. 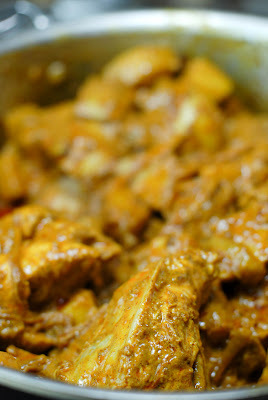 Add the curry paste and warm over medium heat until fragrant (about 15-20 minutes), stirring occasionally. 4. Add the chicken and coat with the curry. 5. Pour in the coconut milk and add the potatoes. Gently toss together. 6. Bring to a boil, stirring to ensure no burning. Cook at a slow boil (I used a lid) until chicken is cooked thoroughly and potatoes are soft, about 30-35 minutes. Salt to taste. Serve by itself or on a bed of rice. 2. Dilute one can of coconut milk or coconut cream with water to make the required 2 cups of milk. When I was to return to the States after a 7 month work stint in Singapore, American friends would ask ‘what food are you dying to have when you get home?’ None, was my answer. Anything American I could find in Singapore, however the breadth of food I had available there would not be replaced in the U.S. Singapore is a country made up fairly equally of Chinese, Malaysian and Indian cultures. All their food is at play. I was fortunate to be taken to many back alley eateries where no Caucasian had been or been seen. I found it to be a culinary wonderland. A fond memory is definitely eating at the hawker centers. These are locations where groups of food stalls, often preparing only one or two specialty dishes per stall, are assembled. One orders from any of them you like and everyone eats in a communal area. Vendors solicit your order, you bark back and before you know it dishes are descending upon you creating a veritable feast of delectable street food. It’s a more grass roots engagement of an American mall food court. A favorite, Newton’s Circus, was outdoors and was a frequent dinner haunt for my fellow expats, our new local friends and me. I lived in Singapore from midsummer through late fall so it was often beastly hot even at night. It was not uncommon to eat as late as 10 or 11 p.m. at night, still feeling drenched from humidity and the delicious heat from the food. They’ve done studies on how to cut the heat when eating spicy food, and beer ranks high in this form of aid. Tiger beer was a usual partner for our late night chow downs. This was before I knew I could not have gluten (which is in all beer unless it’s made gluten free). We would drink monstrously large bottles, glistening with water droplets, as we’d eat for hours it seemed. There was always one more delicacy to try. 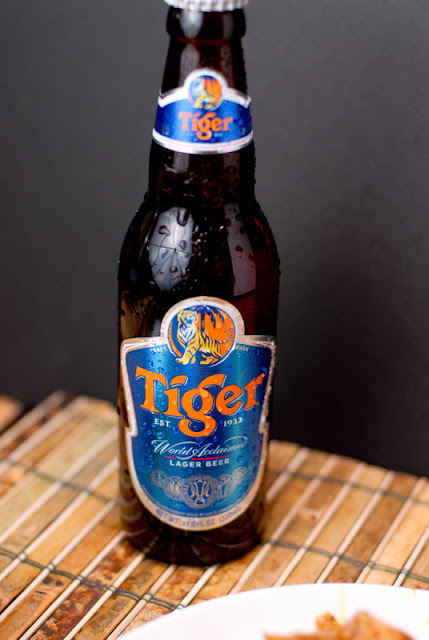 The heat and humidity, and frankly profuse perspiration, lead to no affects from the alcohol in the beer but rather made it a refreshing companion to stay hydrated! 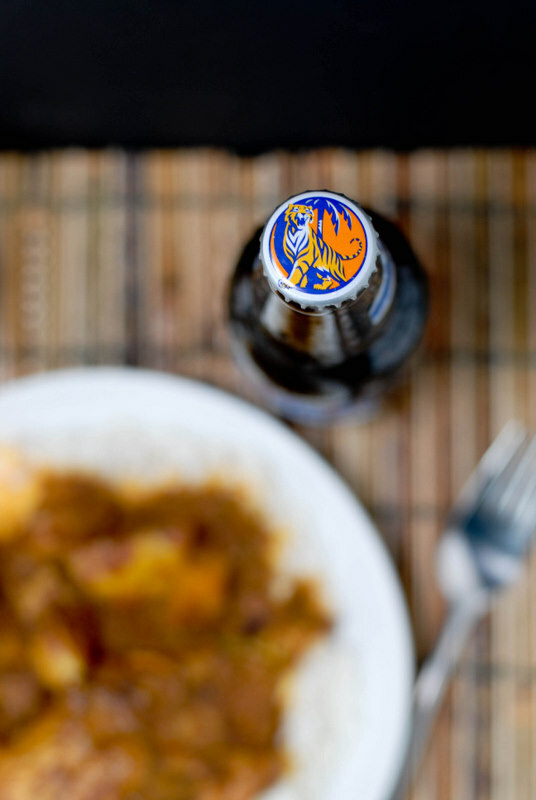 I’ve paired a nostalgic bottle with my curry. 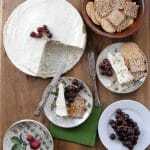 Our recipe swap group has blossomed further with this round and expanded to include more mixed food genres and international contributors. Please visit the other swappers and see how they’ve spun this dish. 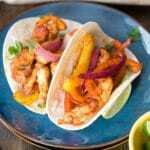 I guarantee you’ll find some new favorite recipes. Click here or on the hymnal picture on the right side of my blog to land at the command central page of our swap group! Ping: I'm so happy! I have been hoping Aunty Choo would be pleased and feel I have done her legacy right. She's now known all over the world! Thank you again for your help and giving me the key to such a delicious recipe. Oh my goodness! I never expected to be on the internet! This is wonderful! I Hope your friends enjoy it and it's not too spicy. This also goes well with bread. Looks beautiful! Thank you everyone for reading and taking the time to comment! Ping: So happy I did you right! We'll see if I 'pass muster' with Auntie Choo this weekend when she sees it. That is my true report card! Eugene: Whew! I love Singapore and the food there. Miss having Hokkien Mee and coffee with sweetened condensed milk daily for breakfast. Glad I did you well. Lynds: Thank you for the award! What a glorious surpise! This looks so delicious! 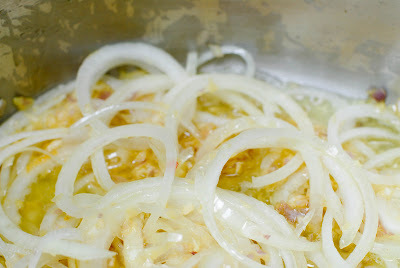 I love the idea of drying the lemongrass to add to the curry powder – so fragrant! Lovely post and photos. 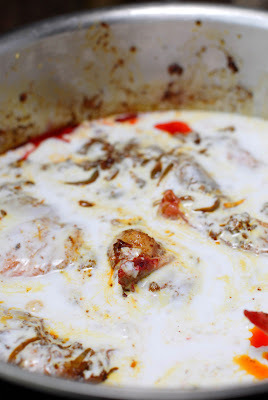 I think I know of one Boulderite turned Seattlite who will be making chicken curry this week. Great rendition on these dishes! Oh my..that is one amazingly delicious meal!!! Love all the spices and the story!!! I've long loved curry but for MANY years thought it from the curry bush. I really only found out the first time visiting Savory Spice Shop near me how wrong I was. 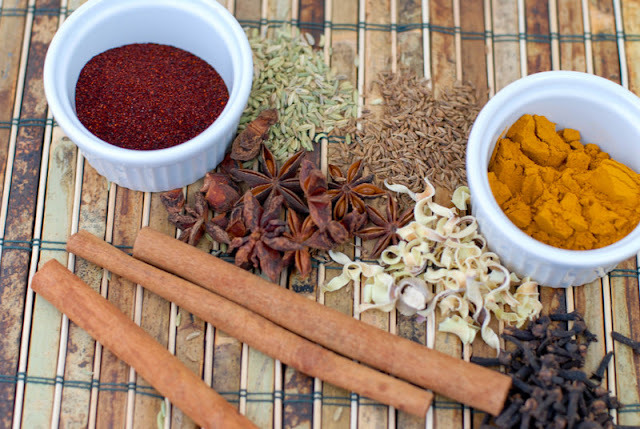 Although I've purchased a variety of curry spice mixes from them, I made some of my own recently as well and realized I had most of the ingredients already on hand. This looks wonderful…you have outdone yourself and your photos are looking very good woman! Those spices + that beer = heaven! As always, I love your recipes and thank you for joining in the swap! Can't wait to see the results of the next one (already!). Stay warm and we'll speak soon. Great looking recipe. I love curry so you know I'll promptly transfer this recipe to my database. I saw Justin Bieber driving yesterday on television…..I thought he was like 12. I love the cooking of Singapore and Malaysia. Such a rich combination of influences! And the curries in particular are wonderful, not as hot as most Indian curries and very savory… That said, the closest I've come to Singapore was a layover at the airport on the way back from Indonesia. And I didn't even get to eat! This looks so amazing! My mouth is watering fromt his recipe. Thank you so much from sharing a curry dish from scratch. Love the pictures! As always, you've outdone yourself! Love the beer pairing. Love, love, love that you made your own curry powder. 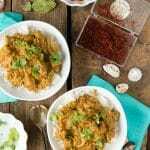 I am a sucker for a good curry, and will definitely be trying this one! Oh- I am so making this! I LOVE curry, and order penang when it's on the menu. My grandparents spent 20 years living in South East Asia- most of that time in Singapore. While my grandmother never learned to cook traditional dishes like this, she did introduce me to the joys of eating a mango, and I remember her telling me that Americans don't know what bananas really taste like. Apparently there was a banana vendor who came down her street every day with 6 or 7 kinds of bananas. I hope I get to visit there someday- your post has brought back many of my grandparents stories! I am just discovering different types of curry. My local Spice house is like a candy store for cooks, so I will look for this curry or buy the ingredients to make it. Love the combo of the chicken, potatoes, and coconut milk. You deserve to be presented a friendship award from our Minister of Foreign Affairs! It's really heart warming to see someone from across the globe spend effort to create a not so famous yet very Singaporean dish. When people think of Singaporean cuisine, it's usually chilli crab, chicken rice or char kway teow, but really, they are popularized food you buy in Singapore but not all know how to make them. However, the nonya curry is a must have at any large gathering (housewarming, baby shower etc) and there will always an auntie in the family with the most sought after nonya curry recipe. This looks fantastic, it really does. Love the reference to Justin Beiber too, that cracked me up. Glad you are enjoying your recipe swap! now those are certainly some wonderful flavors going on in that dish! Your redo really takes this recipe to a whole other level, I never think in in these terms, I need to open my mind to more exotic dishes, I keep getting stuck in Italy….sigh….how I do love Italy!!! Thanks for interpreting this recipe from the view point of grandma from a different land! OH MY GOSH!!!! I am speechless ….. Such a beautiful write up and you even named the curry powder recipe after my mum! She is going to be so thrilled to see her name there when she comes to visit this weekend (she doesn't have access to the net where she is). You can't imagine how happy you're going to make this little old lady. And the dish looks absolutely authentic! You make our recipe proud! Thank you!